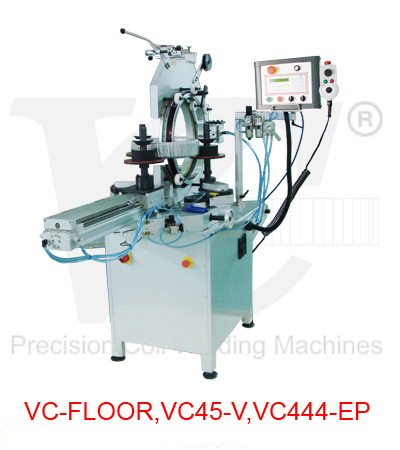 The VC-FLOOR is a Hi-Tech machine with easy to read LCD display and incorporates VC's flexible system with interchangeable heads and roller tables. It is designed for very heavy applications and built with strong and modern components: microprocessor control, heavy SERVO motor for head drive and strong servo motor for core drive. 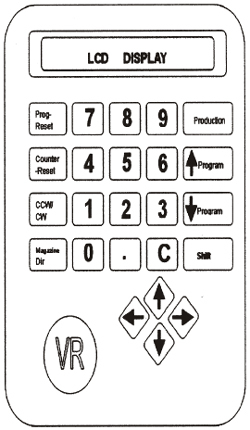 The software guides the operator thru the programming with clear text commands. The user friendly programming and the clearly positioned control knobs make the VC-FLOOR extremely fast to set up and very easy to use. 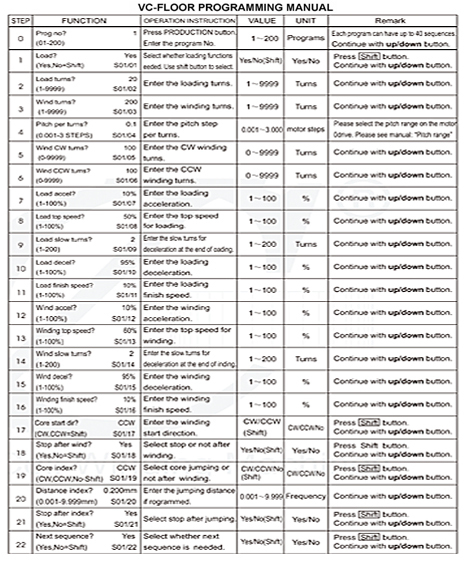 Typical applications for the VC-FLOOR are general jobs with very large cores or winding applications with very heavy round or flat wires.